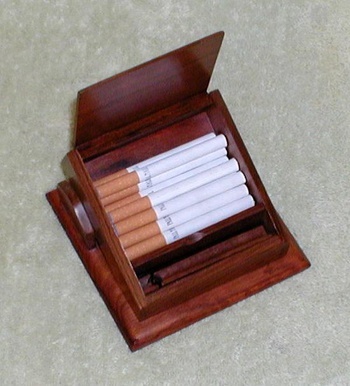 In Tobacciana > Cigarette Cases > Show & Tell. 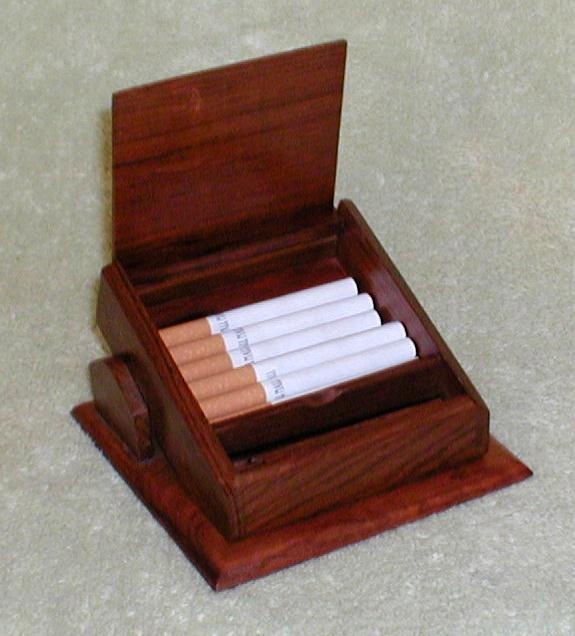 This is a desktop wooden cigarette dispenser box. - It is entirely made of wood; the base is 4 3/4" by 4 3/4" square and is 2 3/4" tall at it's highest point. - It holds up to 25 single regular size cigarettes and when you tip the back it dispenses a cigarette into the front and stands it upright by the filter side. 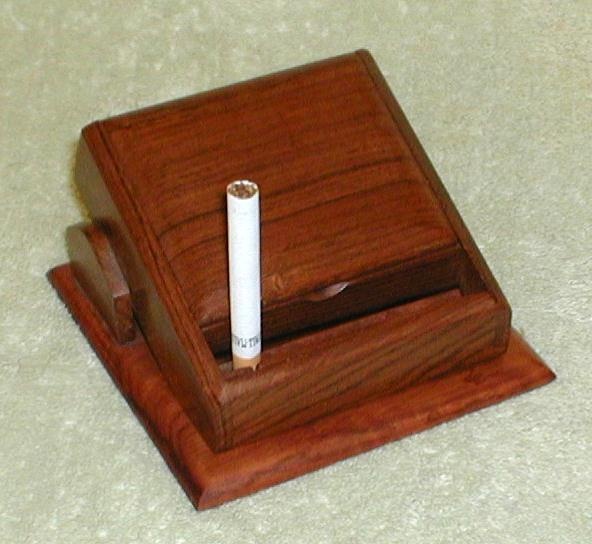 In the last picture it shows the front wood part that has a hole to the left side; when the box tips back to the front, the filter goes into the hole and the left side of the box forces the cigarette to stand erect. - All done with one single motion.